With a strong focus on compliance, we have been delivering the highest quality Organic Powders and Extracts consistently worldwide. Along with being USDA and Eco-Cert certified organic, we have a host of other international certifications, and meet stringent global manufacturing standards. 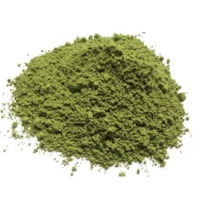 Our Organic Green Stevia Powder is of the purest quality and is grown and processed with great transparency. Short on time? 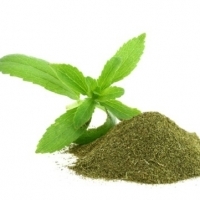 Let stevia sellers contact you. a new kind of sweetener from Chrysanthemum (or Chrysanthemum leaves). Over 80% of the sweetness is white to pale yellow crystal or powder, and the hygroscopicity is not very good. Stevioside is easy to dissolve in water and ethanol. When mixed with sucrose, fructose, glucose, maltose and so on, the sweetness of stevioside is more pure, and the sweetness can be synergistic. Characteristics As stevioside have the advantages of high sweetness, low calorie, no metabolism, non-toxic, safe, and long aftertaste in the human body, all the countries of the world are actively used to replace sucrose. Differences between Stevioside and Sucrose stevioside has high sweetness and low heat value. Physical chemistry is stable, no fermentation, so it can extend the shelf life of sucrose products. Stevioside has high sweetness and long duration without browning, which is beneficial to maintain the true color of beverage and food. Application Stevioside as a new sweetener, can be widely used in all kinds of food, beverage, daily chemical industry. It can be said that almost all sugar products can be stevioside substitute part of sucrose or all substitute for saccharin and other chemical sweeteners. 1.Stevioside can be used as a flavor enhancer for the following products: stevioside and stevioside A can be used for ice cream and soft drinks; stevioside is used to enhance the sweetness of chlorinated sucrose, aspartame and cyclamate; stevioside and its salts can be used for ripening of fruit and vegetables. Stevioside is added to food and beverage as aromatic flavor. Flavor enhancer; stevioside is used in salt free storage of foods. Stevioside is used in making hard sugar with lactose, maltose syrup, fructose, sorbitol, maltitol and lactulose. Stevioside can be used to produce gum and bubble sugar, and stevioside can also be used to produce a variety of flavors.Stevioside can also be mixed with sorbitol, glycine and alanine to produce cake powder. Stevioside is very suitable for this purpose because of its thermal stability. 2.in various soft drinks, such as low-energy cola drinks, stevioside and high fructose syrup can also be used to sweeten. Stevioside can also be used in solid beverages, healthy drinks, sweet wine and coffee. Steviodies are low calorie sweeteners. The heat value of steviodies is only 1/300 of sucrose, which is not absorbed after intake of human body and does not produce heat. When steviodies are mixed with sucrose fructose or isomerization sugar, the sweetness can be improved and the taste is improved. Stevioside can be used in confectionery, pastry, beverages, solid beverages, fried small foods, condiments, preserves. 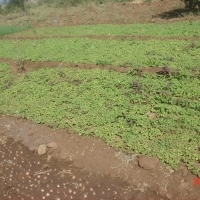 Use appropriate amount according to production needs. One of the most healthy sweetener in the world. 20kg/carton, 25kg/carton. Beijing Redyas Science Tecnology Development Co.
Our product are selling well in south african , europe japan and other10 countries regions. 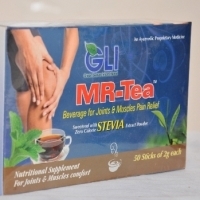 Such as steviosides, stevia reb-a series, stevia tablet. Stevia extract and so on. The stevia extracts are 100% natural, zero calories, heat stable and safe for anyone, and is useful for it is recognized as "by China green food development center. 20kg/carton. Qufu Shengxiangyuan Biotechnology Co., Ltd.
Stevia is naturally pure white sweetener which is extracted from stevia leaves. Its a new natural sweet agent, been widely used in foods, drinks, medicines and daily chemicals, Broadly speaking, in all the sugar products, the stevia can be used to take the place of cane sugar or gluside, Presently, stevia is mainly used in drinks and medicine, especially in beverage, It is also used in the frozen food, canned rood, candied fruits, spices, wine, chewing gum and toothpaste, The dosage of stevioside varies according to the difference of products. It can be determined through repeated research and experiments so as to guarantee the quality, feeling and taste of product. External packing:carton/drum Inner packing: plastic bag. Astar Stevia Technology Co., Ltd.
Reb-a series has different specification classified by the purity of reb-a such asreb-a95%, reb-a97%reb-a98%, reb-a 99%.It is white or light yellow powder or granule. Reb-a is the best tasting part in stevia extracts. 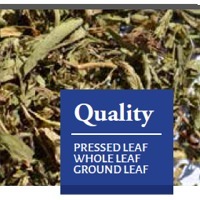 It is manufactured with specially-planted stevia materials with high quality and has the properties of fresh and lasting taste, no bitter aftertaste etc. It can better develop the taste of food and improve the quality and grade of products. The sweetness of reb-a products ranges from 300- 400 times of cane sugar.